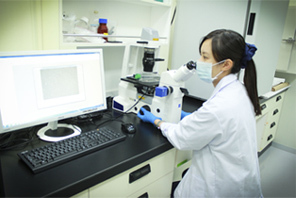 DrSignal BioTechnology was founded in august 2013, and focus on the developments of technology and product related to adult stem cells. Variable amounts of mesenchymalstem cells exist naturally in our bodies. These stem cells have the capacities of self-renew and multilineage differentiation, which are responsible for normal organ development and tissue repair. To date, mesenchymal stem cells can be amplified through in vitro culture. It has been considered that mesenchymal stem cells can be applied in regenerative medicine and cell therapy. Copyright © 2013 DrSignal BioTechnology Co., Ltd.